All information collected by Signority from your use of our website www.signority.com, all subdomains associated with this website and the online software as a service provided through our website (“the Application”) aids Signority to personalize, customize and improve the services provided to you. And any other information needed and that is brought to your attention. This information may be received and recorded by Signority or entered by you through use of the Application or the website. You may choose not to provide certain information to us but that could impact the level of services offered to you by Signority (by limiting our access to cookies for example). We will use the above information provided by you or collected by us to customize the service offered to you, to communicate with you and to respond to your service requests. 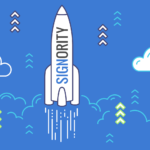 In order to gain permission from Signority to you our Application or our website, you must first register with Signority and create a user name and password. Please take this into account whenever you make use of our services or provide information to Signority. From time to time, we may engage other third party service providers to assist with the development, management or maintenance of the Application and our Website. At times, this may require the disclosure of certain personal information. We will ensure that where it is necessary to engage third party service providers that may result in the disclosure of any of your personal information, we will only do so to the most limited extent required to accomplish these objectives. By use of our website and our Application, you will receive emails from us based on your personal information provided to us. There may be emails advising you when new documents have been stored, when documents are waiting to be modified, when new materials are posted to a file(s), when new features come online and when files are closed or deactivated. We will also communicate with you in response to your inquiries to provide the services you request and to manage your account which may also require the disclosure of personal information you have provided to us. 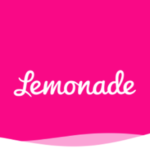 We will also from time to time, send you information about our products and services. We offer you the ability to automatically review and change the information you submit to us by logging into the Site and entering in the new information yourself. This information may include your password, contact information, billing information, and user preferences. You must promptly update your personal information if it changes or is inaccurate. Changing your personal information will not impact any completed transactions. Out of respect for your privacy and in conformity with Canadian law, we will not send you any communications without your implied or express consent. Further, we will always present the option not to receive these types of communications. We reserve the right to disclose your personal information when we believe that disclosure is necessary to protect our rights and/or where required by statute, Court Order or any other applicable law. We do not sell, rent, share, or otherwise disclose your personal information for commercial or any other purposes. Your information is stored on servers located in Canada. Signority follows generally accepted industry standards to protect your personal information that is submitted to us, both during transmission and storage. Transmission over the Internet and electronic storage is never absolutely secure and we cannot guarantee that your information will always be kept entirely safe. It is important for you to protect against unauthorized access to your password and your computer. Be sure to log off when you finish using a shared computer or when you leave your computer unattended. If you have any questions about security during the use of the Website, please send an email to us at secure@signority.com.